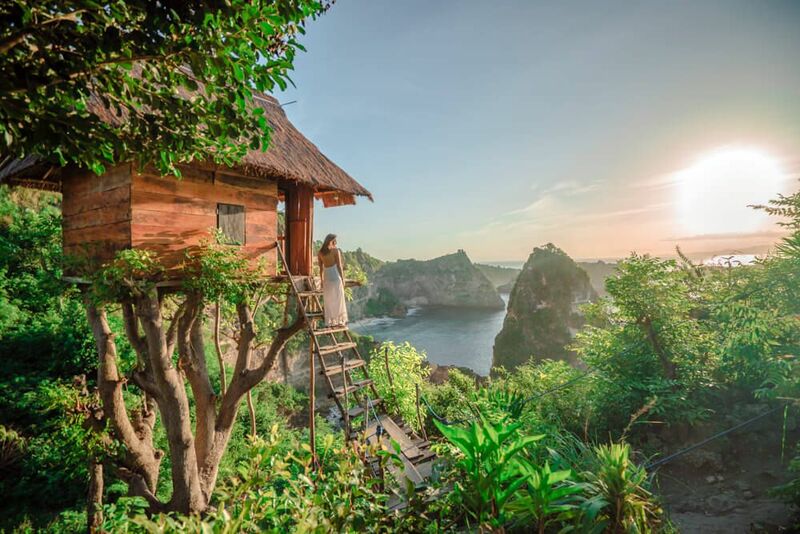 The Instagram famous Nusa Penida treehouse is just as breathtaking as the pictures portray it to be. Located in the thousand island viewpoints, the tree house sits at the edge of the cliff and is just the perfect spot for any tourist looking to get the best view of the island. Opt to stay for the night or capture some of the most magical fairytale looking photos here at the tree house as the wooden structure offers you the natural accent and a great way to get away from all of the noise of tourists into your own world of refreshing fun. Whether you are just starting out your trip of the island or finishing off, waking up to the views of the ocean from the treehouse is a memory that will last for a lifetime.